I really love to be able to repair the things that I own. Not only software, but especially hardware. I'm not good in doing it, but I sure enjoy it. The saved money is a nice side effect, but what I really like about it is all the things you learn while doing it. I am a trained heating engineer, but as I mentioned, thanks to my father I am doing a lot of other handy things myself. I never took any of my cars to a repair shop, not even after a total crash, I instead replaced the body of the car. Broken dishwasher only needed a new pump, but if you don't do it yourself the repair-shop takes more than a new dishwasher costs. Bicycle is a obvious thing to repair yourself. My iMacs hard drive broke down so I had to buy a heavy duty suction cup to be able to open and fix it. My Roomba needed new batteries after a couple of years, so I opened it up and voilà! In resent years it got more and more difficult to repair the things you own, especially cars and electronics, which are getting lighter and smaller but more and more integrated so that it gets almost impossible to do anything when they break, even for a repair-shop. That is why I at least am trying to chose repairable alternatives if there are such. A couple of weeks ago I visited Christian and his wife Daniela for his birthday party. I had my laptop with me and used it on my lap in the living room. 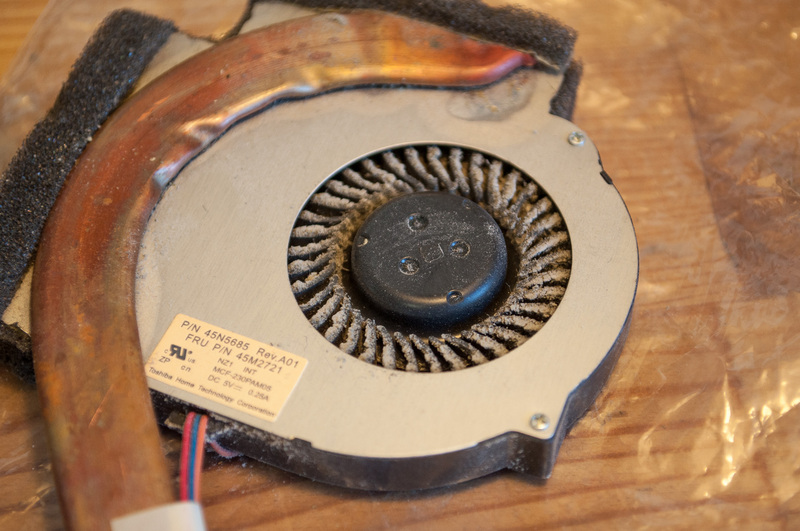 Suddenly Daniela asked what that high pitch noise was, it was the fan of my laptop. I myself have gotten used to it actually, and only heard it when it was really silent around me. But she was right, the sound was awful and I had to get rid of it. So I ordered a new fan which arrived yesterday. Since my father lives about 12 hours away and also doesn't really repair a lot of electronics, I had to find another teacher, which now with help of the Internet il surprisingly easy. I found one person on YouTube filming themselves while replacing the fan in a ThinkPad like mine. It was quite easy to follow because the ThinkPad I own is build to be repairable. A bit later in the process I also realized that I ordered a fan which wasn't quite the same as the old one, it had an additional thing I assume for a graphics-card processor or something. That's why I had to to improvise a little and move some cables some other way as designed by Lenovo. But in the end everything worked out really nice and I have a new fan in my 5 years old laptop. 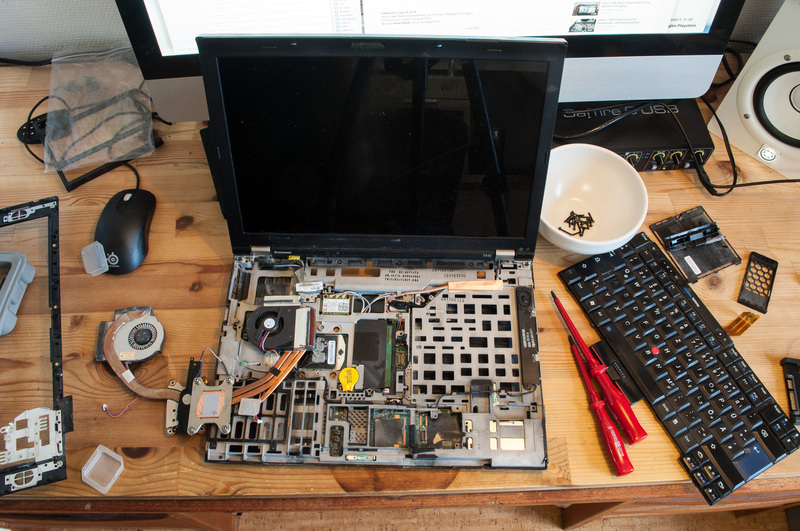 Thinkpads are the easiest machines to dissolve into atoms and back.